The day I finally met the good rheumatologist, I was given several prescriptions. But, they weren’t Christmas presents. They came with stern warnings. Do not get pregnant; do not drink any alcohol… the regular drill. At that point, I was scared stiff. Well, I was stiff already anyway. However, I was also scared. I was not scared of the medicine; I had learned enough about rheumatoid disease that I was more scared of the disease than anything else. RA had disabled me almost instantly and I lived with more pain every day than many people will ever know. RA had taken my grandfather also. I knew I wanted the best medicine I could find. Whatever the RA specialist told me to do, I did. There was no complaining, no arguing, and definitely no drinking. Although my rheum doctor stipulated that I not drink at all, many RA specialists in the US follow this rule of thumb which you will find stated in many places: consume no more than 2 alcoholic drinks per month. In Europe, it is more liberal. People with rheumatoid disease (PRD) are often given the limit of 2 drinks per week. I’ve been wondering what the truth is. Does anyone know whether it is safe to consume any alcohol while being treated with methotrexate for RA? What is the risk to the liver? Do they study these things? There are not a lot of scientific trials studying alcohol, RA and methotrexate. However, in 2006, a study of 550 PRD demonstrated “Alcohol consumption did not correlate with hepatic (liver) injury…” The average consumption of alcohol for Rheumatoid Arthritis patients in the study was 5 units per week. (I suppose that units are standard-sized drinks.) The researchers also found that methotrexate-treated Psoriatic Arthritis patients were at greater risk for liver toxicity than Rheumatoid Arthritis patients treated with methotrexate are. Hidden among the other blockbusters from the American College of Rheumatology (ACR) scientific meeting last October were two reports regarding alcohol and methotrexate. Rheumatoid Arthritis patients use methotrexate more than any other drug. And many of them consume alcohol. So, I’m glad someone is looking at this. One study of almost 900 PRD demonstrated an inverse relationship with alcohol consumption to both incidence and severity of RA. This confirms something which has been shown previously: “Alcohol associates with a lower risk for rheumatoid arthritis.” There is no implication of causality. The researchers did conclude that further study is needed. A second study presented at ACR examined methotrexate-taking RA patients classified as alcohol “drinkers” and alcohol “abstainers.”They found “no difference in the percentage of drinkers (34%) and abstainers (34%) having at least one abnormal LFT (liver function test) result.” The “drinkers” tended to report less pain. It was concluded that further study is necessary, acknowledging that many PRD taking methotrexate do continue to drink. Can PRD on methotrexate drink moderate amounts of alcohol safely? Like so many other decisions people have to make, risks and benefits must be weighed. There are often medicines in addition to methotrexate to consider, which can react with alcohol or have a compounding effect. There are also past history of alcohol use and health of liver to consider. Postblog: I read several articles preparing for this post. This made me laugh out loud: a young columnist on a how-to Q&A site wrote, “Never” consume alcohol if you take methotrexate. Over in the corner I noticed a list of her other articles. One was called How to Dye Part of Your Hair Blue. I decided I better find a more scientific site. Note: other articles relating to alcohol will be tagged Alcohol and Rheumatoid Arthritis. Please check that tag. I was just talking about this on another RA msg board. It is something that my husband and I talk about b/c I’m on MTX & I still have a drink or 2 a week. I’ve been on MTX for a year now and have not changed my drinking habits nor have my liver enzymes tests changed. Love your site! Found out about it a week ago and I’ve been reading over page after page since. Thank you! I love it that you are a Christian and it shows in your love and compassion! May God continue to bless you! Not that I was ever a drinker but I’d love to be able to have a margarita now and then. How many drinks does it take to make dying your hair blue sound like a good idea? I’m not what I’d call a “drinker,” but I do like the occasional glass of wine, scotch, whiskey… well, you get the picture. With a growing toddler in the family, my husband and I don’t get “date nights” all that often, but when we do, I like to enjoy a festive beverage with him. MTX is next on my list of meds to try but I’ve honestly been dragging my feet on that one because I don’t want to give up the simple pleasure of a great glass of wine. Karla, this is the most up to date research I could find. Let me know if you see anything else. I don’t normally drink, but this new years I decided to have a bit ow wine with the hubby and the new year. I don’t know about my liver enzymes, but I can tell you this. I no sooner started to feel the wine, when a new flare started. It spread fast and even swelled and inflamed the cartalige in my nose where it has been broken in the past. Talk about starting the year with your nose out of joint. Of course since I had been drinking I didn’t dare take anykind of meds. So I had to just ride it out untl the wine was out of my system. I don’t think I will be drinking ever again. Happy new year. From now on, I’ll only be drinking virgin drinks. Thanks. This is fascinating. I will read more on that. It was interesting that the initial topic was about liver safety w/alcohol & mtx, but some were saying that alcohol brought flares. 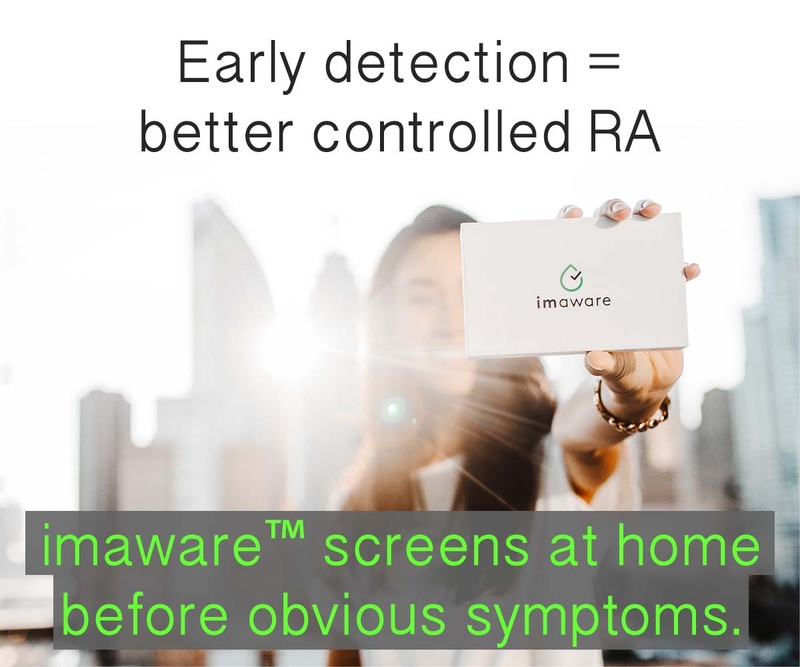 Especially interesting since studies actually have shown an inverse relationship to severe RA. Maybe it is just not correct to lump all alcohol into one category as you explain. I’m a bit confused over the statement that “Alcohol associates with a lower risk for rheumatoid arthritis.” What does that mean? That having a history of drinking alcohol means that you may have a lower risk? Before taking MTX, I would join my husband every evening for a cocktail and I miss it. It helped to ease my pain a bit and (in small amounts)could not have been harmful. My GI doc was quite stern with me about NO alcohol – NONE! This was even though I had very good liver test results. MY Rheumy says that I can have 1 or 2 on a vacation but no more. I find it very interesting that there is so little research on this and yet very strong opinions. BTW,I just read an article about the British drinking problems and they referred to a “Unit” as being less than a “shot”. Ok, now I’ve actually read your links. Very interesting studies. I really hope that they lead to more. Thanks so much Kelly for researching these things. How in the world would the average person find all this on their own? At the same time as I was given the “no alcohol” warning, I was told “minimal or no ibuprophen” for the same reason. That one brought more protest from me. Any one else hear that one? I do continue to use some, but probably less than I’d like. Haven’t had any liver problems. My doc gave me a prescription dose of ibuprophen. I take a lot of ibuprophen. Never heard that before; however, NSAIDs in general are on the interaction list on drugs dot com of things to be on the watch for – The whole package of one’s meds must be considered together. Maybe the doc giving you something else that would be “additive” to the ibuprophen? I’m in England and was diagnosed with RA in 1995. On various meds including mtx. I was also told not to take ibuprofen or aspirin but can’t remember if that was due to the mtx or something else! Have to manage with paracetamol when things are bad but sometimes it’s not enough. This is one topic people are REALLY divided on..saying your a Christian and then saying you drink – OH THE HORROR! Drives me crazy! The bible doesn’t say it’s a sin to drink – the bible says it’s a sin to get drunk and be stupid! Having a drink on occasion is not a sin – having a drink and driving is a sin and well, stupid. I know there was no mention of driving – but, you can replace driving with anything – and to some even MTX. I feel like I have given up so much. Why should I have to give up a drink or two a week? At this point, what’s going to kill me first? The complications from RA, the meds I take for the RA or having a drink? Such a catch-22!! I’ve been told by my pharmacist to NEVER drink alcohol while taking methotrexate, but my rheumatologist has a much more moderate view. Because I’ve been taking mtx for 15 years and have not yet had an abnormal LFT, she says I can have 2 or 3 drinks per week. I usually just have a glass of wine with dinner one night out of the week, but sometimes I’ll have a little more. I’m careful and I get my regular bloodtests, and so far I have been ok. It’s nice to still be able to have a drink once in a while. I am sure glad I dont drink! Just have no taste for it, was always that way, so if I have to go back on the meth when I see the rhuemy at the end of this month, then hopefully I am that much better off….. 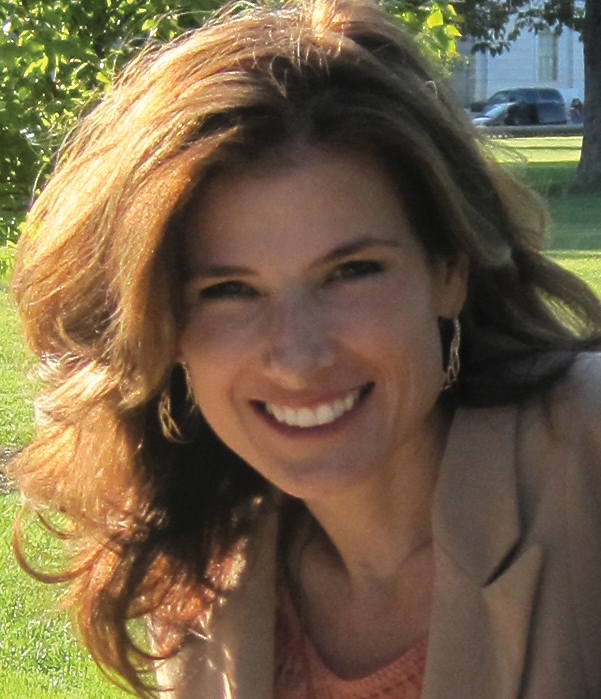 Thanks for this blog Kelly, I come away each time learning more and more…. Kelly how long have you been on methotrexate? I am thinking I may be having to go back on it! Viesta, I have had RA for 15 years. My Rheumatolgist gave me a “folic acid” prescription to help ward off mouth sores. Then eventually she gave me a prescription for a med. called “Foltx” and eliminated the regular folic acid. I very rarely get mouth sores unless I eat Many tomatoes through the week. I have two drinks a week okye by my RA doctor, but I report that I notice that two Margaritas a week rasise my liver enzymes higher than 2 beers a week. I get a copy of all my blood tests to be my own advocate. I take 6 Methotrexate 1x a week, 50 mg of Enbrel injection 1x a and 1 200 mg Celebrex everydday. I don’t have any deformities and I feel very well. Ican walk 2 miles a day. Great post Kelly! My rheumatologist made me stop taking mtx in July because of mouth sores. While I was on mtx, I had a drink on two occasions. One was the weekend of my husband’s birthday when we went out of town. I had half a glass of Sangria. I was in the ER the next day in HORRIBLE pain. Turns out the ERCP I had the summer prior to that didn’t correct the Sphincter of Oddi Dysfunction it was supposed to (you can google that…it’s too complicated to explain here). I was in the hospital for 2-3 days because my liver panels were through the roof and the GI dr was considering another ERCP (which definitely would have caused another case of pancreatitis, something neither of us wanted). I didn’t mention that I’d had a drink, because it didn’t occur to me there could be a correlation. Then, 3 months later, after my grandmother’s funeral, I had a wine cooler. An hour later, horrible pain again. No ER visit, since I knew what it was, but enough to make me swear off the alcohol/mtx combo. Since coming off of the mtx, I’ve had a few occasions where I’ve allowed myself a drink and I haven’t had any problems at all. Obviously, my overly sensitive pancreas makes me a lot different than other RA’ers with respect to this issue. But it’s one more take on it. Now on Sulindac instead of self-prescribed ibuprofen. I asked the rheumatologist last week about taking “something” for a headache. He recommended acetaminophen– no ibuprofen is allowed since I’m taking the max on Sulindac. Maybe your doc will allow acetaminophen? There’s just one way to find out– ask him/her. Who’d have thought we’d have to become pharmacists when we got the RA diagnosis?! I go out with my girlfriends once a week and have a beer or two. I told my rheumy and they said that was “ok” but not to do more. I do find that beer does makes me flare a bit. I don’t even have the desire to have a drink much anymore anyway, so sometimes have gingerale instead…hey it can look like beer right, LOL. I also get bloodwork done every 4 weeks. I guess it just depends on the person, their meds and their reaction to it. I would just suggest that you ask your doctor or doctors for their opinion before taking or drinking anything on these meds we are all on. Did someone read my diary? HAHAHA! I love a glass of red wine too. Let’s all whisper and say “it helps in the seduction mood” too. There are already enough reasons not to feel like being romantic, what with the achy breaky things rattling around. So it’s always been a part of date night. The Red wine. Honestly, the dire warnings and scary threats didnt have me too worried. I just assumed these things would happen to OTHERS and not me. My rheumy at the very beginning said if she found blood test results proving I was drinking, she’d stop giving me the good drugs. What stopped me was the way it started to make me FEEL! I would have two glasses of wine ..and my sleep was totally screwed up! I’d feel icky, headachy, my joints hurt worse the next day. I kept trying it, though, hoping it wasnt the reason, but it WAS. I had to admit it. So I dont completely deny myself ..but it has to be a really really good reason/celebration. Thanks for this post Kelly, I have never seen anything like this…honest information about drinking. We learn more here than at the doctors office. I only started MTX in October. At the hospital check-up in December, it emerged that they hadn’t been receiving the blood results faxed by my GP and were worried enough about my liver results to reduce the dosage. They told me that if I wanted to have a glass of wine on Christmas Day I would have to change from my regular Thursday MTX to Tuesday or Wednesday as Christmas was on Friday. 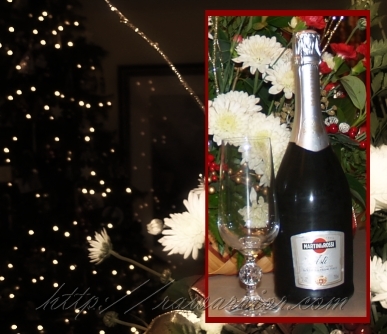 In any event, I had a lovely Christmas without too much pain so I didn;t risk a glass of wine. I sound like a broken record, but here it is again – everyone with RA is different. No two people react the same way to meds, have the exact same symptoms, etc. I was told “no alcohol” at first. After several months of normal liver tests, I was told “one or two a month” was okay. I now have a couple drinks on most weekends and don’t worry about it. I also do the injectible mtx now, not the pills, so the liver/digestive issues are not as much of an issue. Still, I’m careful. If I go on vacation and know I’ll be drinking a bit more, I skip my mtx dose that week. Skipping a dose once in a while is not a problem for me, but it might be for someone else. You just never know until you try it. I’m also careful about OTC analgesics like ibuprofen and tylenol. If I know I’m going to be taking one of them, I skip the closest Mobic dose. Good point about OTC’s. Everything you take in goes into the mix. Hi,Thanks for a very interesting/informative discussion.I wanted to pick up on the idea of skipping a mtx injection and it not being a problem. As someone who,while never having drunk excessively,am simply not prepared to live without regular imbibing,I would like to ask if anyone knows which is worse-missing mtx 1 or 2 times a month so as to drink or not missing them and drinking a bit less? Talk to your dr about your concern. Have you ever had problems with your liver? family history of? or liver tests that were abnormal? Do you use Tylenol or other medicines that can affect you liver? The whole picture needs to be considered to determine your actual risk. And since mtx patients do regular testing, you could also see whether there is any problem by paying attention to that – kind of like a test. Not sure if I was clear – I was saying there is danger in messing with a disease treatment too. And it may be a worse danger for some and that’s hard to measure – what is the effect the mtx is having at suppressing disease activity related to the heart, for example. I am in the middle of being diagnosed with RA and my doctor was telling me about taking MTX and drinking. He said maximum of 2 drinks a month for special occasions. This is going to sound sad but I think I was more upset about the no alcohol then finding out I have RA. I don’t drink much but I do like to occasionally drink more than 2 drinks so I was a little worried about that. It’s hard to bring that up to your doctor without feeling as though he is going to think you’re a lush. So I wanted to thank you for the information and candied discussion about taking MTX and drinking alcohol. I was just diagnosed about 6 weeks ago with RA also, started on methotrexate, told no more than 2 drinks/month. Not that I drink that much, but do like to have a couple glasses of wine when get together with friends/or family. It does take some getting used to—- save your drink for a special occasion. It would be a problem if it was my coffee!!! Not that it’s a priority at a time like this (just diagnosed…), but maybe you could read the studies in the post & print them out & ask you doctor what he/she thinks about them. I’ve known people stop taking methotrexate for good just in order to be able to drink. That may not be logical, especially according to what these studies say. I have had a horrible time with RA & Fybromialgia for the last 15 years and alchohol has made it worse most times the next day after I drank it. Alchohol works great to releave pain… only when when your dinking it! For a while, it was the only thing that took away the pain for me, but that may have a completly wrong way to look at it, considering I often couldn’t get out of bed the next day, after just having a few. Don’t get me wrong I liked to drink alot sometimes too, which was mostly beer, because friends enjoyed doing it, but it made me feel worse more often, longer, than it made me feel better. I lterally felt like I’d been hit by a train after drinking a sixpack tghe night before. I finally quit drinking for 2 1/2 years , then decided what would it hurt to have one or 2 once in a while, out on a date or sumthin, if I could only get a date! If I din’t feel like I needed 4 – 6 beers to get a good buzz I’d be just fine, but now I just recently started taking Methotrexate and the Doc said “don’t have more than 1 drink a week or it will be toxic to my liver”.. OH Great if I hand’t hurt my liver already this will be sure to finishit off! Ok so I came home and quit drinking again, only problem is , I live alone, I get down, and suffer from pain still and having a beer or two cheers me up a little, so I havn’t exactly quit, but I have been having 3-4 a week usually when a friend comes around. Sometimes I may only have 2 a week, so this is pretty good right? Wrong! Doctors and all the junk others say on the internet or even friends and the research and reports, which seem to leave you hanging in mid air, have me so confused I am just about scared to death of eveything and it sounds like everything is going to kill me! To Help reduce my RA pain, I’ve been told not to eat just about everything including certain fruits and certain vegitables. All kinds of reports and reviews and studies tell you not to consume a huge list of things, which some claim cause them pain and sometimes I believe they do cause me pain, but how they heck do ya know? Maybe it was the walk up the stairs, the ride in the car, the thing you shouldn’t have picked up off the floor? If your in bed all the next day with pain was it the pudding or the fruit cup? If you lump them all together here is a partial list of the things I’ve come to suspect,because I what I have read about RA, but who they hell knows? Right? I been told not to eat meat, don’t consume sugar, don’t consume dairy products, including cheese, cream cheese, butter, ice cream, milk, eggs, mayonaise, don’t eat tomatoes, don’t eat egg plant, don’t eat cucumbers, don’t drink acidy juices, stay away from salt, stay away from cayan pepper,funny I also heard it was good for RA. Don’t eat wheat, don’t eat and enriched flour, don’t eat yeast, don’t drink wine, do drink wine, don’t drink alchohol,(most beer is made from wheat products and yeast). Don’t eat rice ,or eat only wild rice , don’t eat bell peppers, don’t eat potatoes, don’t eat night shade vetables, don’t eat lemons, limes or oranges because of the acid, don’t eat tomatoe paiste, don’t eat ketchup, don’t eat beef, shrimp, shellfish, lobster, hot sauce, cheeese sauce, cream sause, don’t horse radish, don’t eat spicy foods and if that not enough, its best for everyone to not eat saturated fat,, oh yes that includes french fries, and don’t eat corn syrup, and don’t eat the yellow part of eggs and don’t drink coffee or cokes because caffine is bad for joints and slows healing. Oh and smoking is bad for RA. Like, If like I din’t know it was gonna kill me anyway? . So now that we that out of the way, You can have a banana and some corn on a piece of flax bread covered in musterd for desert! I finally quit eating almost everything, because one lady a what cha call em..Homiopathic, Acupuncture, Naturalist, screwed my head all up with some of this junk. And then I said the hell with it, I got to eat something! It was great to stumble acoss your site! its so nice to know i’m not alone, not that i wish this pain on anyone. i hate RA, i am only into my 2nd year living in daily excutiating pain with it, but have been told i have the severe strain. and am on MTX, cortisone, voltaren, panadine, arava… and heading for the new injections in june which i cant wait for! I have only been on these meds since mid dec as at about the same time i was diagnosed with RA we found out we were pregnant. I now have a perfect 4 month old son. Nice to meet you Ed. I hope the medicine helps you get a remission!! Were your symptoms at all better during the pregnancy? Being diagnosed during pregnancy is unusual. I’ve suffered from RA all my life and started taking MTX when I was 12 so obviously they never said anything about alcohol then. At the age of 17 I became what would be described as a Binge drinker, friday and saturday nights you would find me touring local pubs and would usually only stop drinking when I could no longer stand up! I drank heavily until I was about 23 and then one day I decided that I couldn’t really have just couple of drinks and stop, so I took the decision to give up completely. I stayed sober for 9 years but recently decided to just have a couple now and again. I’ve had no problems with my liver at all even when I was drinking to the extreme. I’m not saying it is safe to drink when taking MTX but the way I look at it is RA has taken so much from me throughout my life that I refuse to let it dictate to me whether or not I can have a drink. I know that I used alcohol as a way to hide how much pain (physical and mental) I was in but I’ve done a lot of growing up since then and I feel now that I’m 31 I’ve past my rebellious phase and I know my body well enough that if it were to cause any problems I know I can live without drinking! Seems like you’ve come to peace with it Emma. And that is a long time to have RA. I am 60. I was diagnosed in Jan. 2010 with RA and started on MTX in June. I must say I was scared “stiff” to start it as well! I have been so blessed because I haven’t had any of the major side effects so far, except for the hair falling out part. I too was told not to drink, and if I did, only 1 or 2 drinks per month. There has to be some room for the “quality of life” you have in the world of RA. I made the decision that occasionally I would have wine if I felt like it, not over do it, and never have alcohol on the day I take the MTX. So far it’s worked for me – blood tests have been good, and I feel much better since starting the protocol. I agree with Emma – in the big picture, if my blood work changes and the choice comes between drinking or having a healthy, relatively pain free life with your family and friends, water works great for me! Thanks Kelly for the opportunity to share…what a gift! Actually, I agree with your perspective & it seems like doctors in most countries agree with you. I wonder if US docs think that we cannot stick to the “moderation” or won’t be cautious w/ our blood tests. Thanks for the thoughtful comments. Well, I am different. I’ve had 2-3 glasses of wine every night, then some weeks go by and I have none. I only once had elevated liver tests. I get my labs done regularly, but still enjoy my 1-3 glasses of wine a night. Am I doing myself a disservice? I may be, I see my GI guy next week and will discuss with him. I’ve never flared after having my wine either. Interesting topic. Marie, from what I read, most patients do fine with moderate amounts of alcohol, but as I heard a doc say this week at ACR, they Must never miss a liver test so they know if its affecting them. I have never flared from wine either – but did you see it may depend upon the actual type of wine – so it’s another chemical & not the alcohol causing a problem for some. I think that its true, Doctors hear it all the time. Heck, I hear it all the time in the hospital. “oh, I drink only this…” And their liver enzymes are thru the roof. I think that its better to have a clear head about it, if you know that you are not an alcoholic, I think the one or two a week advice from doctors is OK, but if you have a history, I’d try to get some help. Just think of all the NSAIDS and tylenol (in our pain meds) that mix with the MTX. Then add ETOH. The way I understand it, is that the liver becomes acutely toxic vs. gently (chronically) and then you have a problem. Heck, just taking a lot of NSAIDS and tylenol mess with the liver and kidney. Countless times have I seen ill patients with end stage kidney disease at a young age because they feel they can pop those over the counter drugs without issue. End state liver or even any liver disease is sickening to see and treat. The patient doesn’t get it, the family doesn’t get it when we say we can do nothing, and I pull life support. Same with kidney disease. Its horrible, your body puffs up and leaks out because it can’t handle the toxins, and your brain is toxic and you don’t act *anything* like yourself. I’m not trying to scare you. Just trying to tell you what I have seen. Be open and honest with yourself and make a good descision. Where are you with drinking? What other ways can you deal with the “hard knocks?” And I can relax with just one? Just educate yourself and be honest with where you are at with the whole cocktail of stuff we take. And don’t hold off on meds for your joints because you want to drink, Unless, that’s what you want…. my first time on methotrexate, the doc said no alchohol at all. big bummer cause I was a beer drinking social nut. I did as told though. after six yrs I quit methotrexate and promptly went back to my beer. a couple yrs later I went back on methotrexate and didn’t quit drinking. I can’t say how many yrs I have been drinking beer and using metho and other RA drugs but my liver functions stay fairly even. granted my beer consumption is down alot since the younger days, but it hasn’t shown negative yet.I drink 2 or 3 beers a week, sometimes more sometimes less but moderation is key as well as staying up with lab work. I was so glad to find this post. I can’t seem to find any information on this topic. I was diagnosed at the age of 19, I hadn’t really started drinking yet, and because I started my treatment immediately after the first symptoms (I was lucky and found a great doctor within 3 months)I never really started drinking. My social life to be honest suffered quite a bit, because I didn’t go to any of the “normal” outings people my age did. Now at 27 I’ve started thinking maybe I was being too cautious and maybe a drink or two wouldn’t have hurt so much. Like others have mentioned quality of life is very important and I feel better now that I have started having a glass of wine (rose not red) occasionally at dinner if I go out to eat. I’m still being very careful and keeping it to two drinks a month, in the case of wine just one glass. I never miss any of my tests and I haven’t had any abnormal results yet. I’m wondering how many of you have told your doctor you occasionally drink? I’m honestly a little nervous about telling mine because he was very clear about no alcohol when I started my treatment, but then again that could have been also because of my age and he felt a 19 year old wouldn’t drink in moderation, and shouldn’t be drinking anyway. I also realize this post is very old, but I’m sure others such as myself will continue to stumble upon it while trying to find information on this topic. Hi Diane, I was just diagnosed last week at age 46 and I truly enjoy red wine. My rheumy (at the world renowned Mayo Clinic – sheesh, I never thought I’d be glad I live in near it lol)said a couple glasses a week were ok, just don’t wash the meds down with it. Took my first dose of MTX and Prednisone yesterday, it’s now Friday night and I’d love a glass but I think I’ll wait until tomorrow. It just seems that may be too much to expect of ourselves that we not only lose strength and function that we also lose the pleasure of a good drink (or fill in the blank with anything you enjoy but feel you must do without because of RA). A unit of alcohol in the UK is equivalent to 8g of alcohol – pretty meaningless to most people! It is the same as about .56 of an American “standard drink”. In more realist examples, a 125ml glass of most wines would be 1.5 units and a whole bottle of wine can be assumed to have about 9 or 10 units, a half pint of beer with 4% alcohol is 1.1 units and a single measure of spirit is is 1 unit. Bit more informational??? Hope you found it helpful! I’ve been taking methotrexate on and off for several years now (pregnancy, etc. ), and was curious what the online chatter has been lately on drinking + mtx. I remember looking at some things when I first took it at age 23, and I saw enough to decide I should cut back on alcohol. I’m still not very old, but I have lived long enough with this disease to have a different perspective on life than most of my friends. Twice every 6 months, I sit in a room for 6 hours with an iv (Rituximab) in my arm surrounded by men and women more than twice my age. I listen to stories of the struggles they’ve endured due to RA that span decades. Not one of those people has stated they wish they would have spent more time analyzing what they ate or drank. Their regrets center around one thing: that they didn’t do the activities they enjoyed most because they were worried about the consequences. The consequence? They still have RA. I guess what I wanted to add to this two year discussion is that LIFE IS SHORT! So many people say it but they don’t really live according to that simple truth. Go have a drink. Go have two! Go have fun and stop worrying about restrictions. If you have RA, you will ALWAYS have RA. My guess is that one day when you are sitting in a room getting a treatment with people less than half your age, you will give them the same advice. 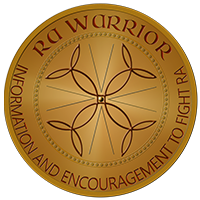 I have had RA for about 6 years now, I am on MTX and Orencia and several other “lesser” drugs. I must now confess…I like wine, I drink wine. Horrors! I have never had a bad liver test, I find that the wine helps me cope with the pain. It relaxes me so I can rest, and my husband and I like to go to wine dinners. Most people I know drink. Even the ones who have RA. Even the ones who go to church. Lots of people got mad at Jesus for sitting with regular people and drinking wine. Seems to be a pretty normal part of life. Like you said, moderation is good. Hee Hee, I think MANY of use are in this boat Kelly! Cheers for moderation! Now enjoy! The link “study presented at ACR examined methotrexate-taking RA patients” no longer works, could you provide a link or name for the article? I’m recently diagnosed with RA and was prescribed methotrexate, I also recently turned 21 and am a college student. I think you may probably see why I’m interested. Thank you! Also, thank you for providing so many other informative articles here! Hi there, thanks for the great website. I’ve just been diagnosed with RA and am taking MTX. Last week I specifically asked the consultant rheumatologist who prescribed the MTX if I should give up alcohol and she said no. She also told me that liver damage from MTX is very rare. I live in Germany so perhaps doctors here are not as worried about being sued ;). I was diagnosed with RA aged 50 I have been on methotrexate for 3 years. I inject on Monday and abstain from drinking until Wednesday night. I then drink 2-4 units every night from Wed – Sunday. I occasionally surpass the unit levels ( weekend parties etc) when I can have 6-8 units in one go. I have a monthly blood test and have been completely normal every time. I have a close friend who is a professor of Gastroenterology and he says it’s fine to drink every night while on MTX, but I think 2 days off a week is sensible. Cheers everyone – stop worrying go for it! My RD never told me not to drink even though I filled out paperwork stating I did (I know, that is right up there with simply not asking to avoid the answer I may not want). My bloodwork has been fine everytime, I don’t drink the day of MTX or usually the next day and avoid drinking the week of my bloodwork. If I ever have a bad liver test then I will have to stop drinking and see if that helps. I’d rather stop drinking than stop the meds. Well, I’d rather not need the meds and continue drinking but we’ll have to wait and see if that will happen. You say alcohol. . . is that two shots a week, two glasses of wine, two mixed drinks??? That would be a large glass of wine, or 1-2 beers and almost never hard liquor in an evening. Also, plenty of times there is no alcohol consumed. I’m not partying, seldom do I have enough to even get a buzz let alone become drunk, I just enjoy the taste of good beer or wine. My Rheumy say in moderation is fine, but no alcohol 72 hours after the dose, or the day before. I can’t find the link again, but this is backed by clinical studies that show there is virtually no methotrexate circulating in your blood 72 hours after being taken orally at RA levels (microscopic amounts remain in your tissues). He also stated up to 15 a week (I was honest with him that I do enjoy quite a few drinks), probably because the study Kelly mentioned shows absolutely no increased risk of liver toxicity at this level. To me, all that translates to no drinking after 8pm Sunday (work the next day anyway), MTX at 8pm Monday (straight to bed to minimize side effects), then alcohol free till at least 8pm Thursday, though usually I wait till Friday. That gives me a couple of days where I really don’t have to think too hard and can just enjoy a drink if I feel like it. I’m only new to it, so won’t be able to tell you for a long time whether this is ok for the liver, though the last two tests have been fine. I am 21 years old and after two years was finally diagnosed with RA. It’s been a long and painful ride the last two years especially while trying to study and have fun in college. I use to play ice hockey and run all the time but now I can barely go to the gym without being in pain. After being prescribed MTX I had to decide whether to start taking it to ease my pain or wait til after all my graduation ceremonies and parties were over in May so I could drink and be a normal college student. I ended up taking the MTX because I am hoping it relieves my pain from RA. I just decided to be sober and pain free then drunk and in pain. I am glad I read all these posts because now I feel like I can at least enjoy a few drinks with my friends and it’s comforting to know I’m not alone because trying to explain to fellow 21 year olds you have RA is not easy. I am on methotrexate, Humira, pain medications, and many other RA and Depression medications. I don’t drink on the day that I take my methotrexate. I also don’t drink after around 6:00 pm for mixed drinks and after 8:00 pm for wine because I take medication at 9:00 pm. I also can’t drink more than 2 drinks or 2 glasses of wine. I don’t drink when I’m having a flare up or when I am taking pain medication. I agree that pain meds are a concern, maybe even a bigger concern than the mtx. I agree that combining them is something to be very cautious about & it can’t be said too often. Thanks for sharing Debbie. I just discovered this website, having been diagnosed with RA a few months ago at age 60. I’m just trying to deal with the anger at going from a strong, fit individual to someone who can barely open the lid on a bottle of water. I hate not being able to do the things I used to, but when I read about how much worse it is for other, I feel very lucky and tell myself to quit whining and make the best of it. I started on plaquenil, which was of no help at all, then started MTX about 6 weeks ago. The no-drinking rule(my rheum said one drink every other week) was also very disappointing, because I certainly enjoy my wine and cocktails. But not wanting to destroy my liver, I stopped drinking except for an occassional glass of wine. It’s so hard to find any information about the effects of alcohol/mtx combination, and it’s awkward discussing with the doc because I don’t want him to think I can’t live without drinking! I’ve read all the posts in this string and the information has been enormously helpful. Having a glass of wine at night helps me sleep better and takes my mind of the aches and pains. The MTX doesn’t seem to making a difference. In fact, I’m feeling more aches and addtional swelling, but I’m told I’ve not been on mtx long enough yet for it to be considered a failure. Not sure what is next. I could not walk or open a jar for several weeks. . . I was on Plaqunil and Methotrex combined and after several weeks I was better. This was seven years ago. . . It was so bad seven years ago I had to wake up my kids to open the dog food in the morning. It is a combination of medicine and I go to acupuncture. I also do yoga a minimum of once a week and I can tell when I have not done yoga. It takes a combination of options to find what works for you. I have a drink when I want one. . . never more than two and never two nights in a row, my liver is fine but I am now down to 10 mg and I stated at 40mg of methx. im on year 8 of ra and just starting mtx, i do drink and of course am worried about my organs 🙂 its going on three years since your original post and i wonder if you have come across any new info? thanks for such a cool site! I’m 49 and was diagnosed 2 years ago. Plaquenil and sulfasalazine for first 18 months. Not much relief. On methotrexate for last 6 months. Up and down. Terrible back pain often worse than joint pain. I drink 2-3 glasses wine every night. Tried to cut back but missed it too much. If I get a bad liver test, I’ll reconsider, but until then would rather enjoy my life. Did I say I’m Irish???!!! While we wait out Hurricane Sandy, I’m taking the time to gather more info on mtx/alcohol in preparation for my next rheum appt on November 5. I had forgotten I posted to this string back in July, and was surprised to see my name there! I’m happy to say my current dose of mtx (7- 20 mg pills once a week)is managing my pain and swelling. I had been taking plaquenil as well, but decided to stop to see if it made a difference, not wanting to take any more meds than ncessary. I was off plaquenil for about 6 wks, and it seemed like I was getting a little achier, so I started it up again. I’m still not convinced that the plaquenil helps. I feel “normal” and am again able to do some of the things I was able to do pre-dx, e.g., open a water bottle, some of my old exercises, etc. Most days I feel great, with minimal pain and stiffness. I know how lucky I am from reading other RA-ers’ posts. It’s still difficult to find good info on drinking while taking MTX, and I have lots of questions for my rheum. Because the recommnedations are all over the place, I want to make sure I have info when I see him so he knows I’ve done my homework. I get the feeling docs say what they’re “supposed” to say, and won’t really go deeper unless pressed. I want to know exactly what can/will happen to my liver if I drink. How much? What kind? will my blood tests tell me if my liver is in danger, and if I stop drinking, will it go back to normal? I just want information so I can make a decision based on how my body reacts. Kelly, thanks for all your hard work advocating for us. This is a priceless resource. God bless you always! I mean 7- 2.5mg tabs of MTX once a week, not 20 mg tabs!! I take 6-2.5 mg mtx and 1-50ML injection of Enbrel a week, plus 1 celebrex capsule at 200mg and I take Foltx a folic acid to ward off mouth sores. I have 2 drinks a week, but one time when I went to a wedding I had 2-3 Long Island Beach drinks on a Saturday, and I went for my blood test on Monday, and my liver enzyme went up to 62…my Rheumatologist said, “What did you drink? I told her and she said, “Don’t do that again !” I never did. I do have 2 Margaritas, or 2 beers, or even 2 wines. What I do to be socialable, At a restaurant, I will ask for a glass of wine in a pourable dispenser, and I will put(eye ball) one or two shots of wine in a diet 7 up or a diet coke. I figure a glass of wine holds about 4 oz…soooo, if I can drink 2 wines a week or in one night..I have 8 oz of wine to work with that night. If I put two shots of wine in each glass of diet soda…I can have 4 drinks with friends. Making my own “Spritzer-like” drinks taste far better than ordering a spritzer at the bar. After 15 years, I did not know about not drinking until 72 hours after taking mtx and I did not know about not drinking the day before taking mtx. Plus, it is my understanding that mtx taken regularly build up in the blood stream and keeps a levelin the blood stream that keeps RA under control; I never heard that it is hardly in the blood stream 72 hours later. I ahve an RA appt Nov. 5, 2012 and I will ask the Rheumotologist that question. Enbrel injected 1x a week (and there are no restrictions with alcohol on Enbrel) is awesome it gave me back 85% use of my hands. I tried to go off of mtx but kept taking my Enbrel injection so that I could drink, but too much pain came back with out mtx and Enbrel (combination therapy) for the best results. For another persons posting: It took my mtx to begin working 6 weeks after beginning to take it…Enbrel took about the same amount of time. So, if you want to not have any drinking restrictions…maybe you should try using only Enbrel injections for pain, without the mtx. Enbrel stops pain and jst as importantly joint damage, according to my Ra doctor even better than mtx. Mtx slows the immune system down, and Enbrel being a Biologic treatment, make/creates TNF. TNF is what our bodies make normally but because RA/our awry immune systems send out tons of inflamations, we need more TNF to catch/grab onto the extra inflamation, and Enbrel does a good job doing that for me. Carol – thanks for your feedback. Fortunately, I’m only on mtx and plaquenil – nothing else at the moment, so i don’t have added danger from other drugs. My (younger) brother also has RA and refused mtx because of the alcohol restriction. He is on once-weekly enbrel injections along with plaquenil, and is doing very well on that regimen.The doc will havew my blood results when I go 11/5, so we’ll see. Linda…I don’t know much about Plaquenel….so there aren’t any alcohol restriction on that ?? Very Interesting. I ask for a copy of my blood test always and I have a file so that I can keep track of my liver, kidney and inflamation…I like to know what is going on. The liver does go back to normal if you don’t drink. My RA doctor said, you can have 2 drinks a week OR 3 drinks on one night (make it beer..ugh) THEN do not drink again for 7 days. She has also told me if I go on vacation, I can have 2 drinks for three nights, and then nothing for 7 days. I gathered from our converstaion and the one time my liver enzyme was elevated from the 2 or 3 Long Island Beach drinks, that the 7 days without alcohol lets the liver go back down to a normal level. I think the liver enzymes being elevated “everyday” regularly from drinking creates a big risk to the liver. My Son said to me, “think of it like this Mom, “taking mtx is like have 2 drinks in your system already.” He is not a doctor, but somehow that made sense to me. I have had two different RA doctors, the first told me what I wrote above; she retired, and my current doctor said what a person above wrote from Germany that there isn’t any firm evidence that mtx and alcohol can damage the liver…but he said, error on the side of caution. So, I keep wine, beer and margaritas a 2 a week and 3 in one day and then NONE for 7 days. This is why I like a copy of my blood test for my Blood Test folder so I can keep an eye on my liver. Hi Gina, I think the smoking is not as much about side effects, but it seems to promote the RA disease activity and make the treatment less effective. There is no guarantee but you might feel a lot better if you can quit eventually. Good luck w/ the methotrexate! Hi, I’m in my mid 20s, diagnosed with RA about 9 months ago. The docs still don’t have it under control. I’m on 20mg mtx and sulfasalazine. My crps are still high and it’s just not working out. I dont know where they will go next with meds tbh. I’ve been really good since being diagnosed. I quit drinking completely, exercise more etc. But to no avail. I’m down in the dumps now because nothing is working. I never take over the counter pain pills or anything, just to be safe. Do my blood tests, but nothing is working. I’m in the mood to go for a few beers, and probably for a bottle of wine with my boyfriend. I’m so sick of abstaining. And I’m at the end of my tether with the RA, I know alcohol won’t cure it, but I’m really low and need to break out. I’m worried about the warnings though. I dunno, this RA thing is the biggest bane of my life. I’m really down with it. I’m to see my rheum soon, but she’ll talk me around to not drinking and waiting for it to work, and it won’t and i’ll be in the same rut, no egg nog, no festive cheer. Sorry, I’m just a bit low atm. This is the hardest it’s been since i was diagnosed. Probably shouldnt rant online. this is my first time posting on anything to do with RA. Sorry. Love this mtx with alcohol thread, as well as this entire web blog! I am 61 and facing RA treatment for as yet officially undiagnosed RA. unlike others, I have very little joint pain. My issues are tendons and ligaments that have ruptured for no apparent reasons over the last 20 years or so. I just recently underwent total knee replacements and then a finger tendon stabilization which has since ruptured. My ortho has referred me to a rheumy who wants to start me on mtx. As others have already noted above, the double whammy of frightening RA meds for the rest of my life in addition to NO ALCOHOL ever is just over the top depressing to me. Anyway, the posted info and this site, along with other support sites, are helping me more than anyone can know!!! Thank you all!